Inspiration is everywhere around us, with nature playing the biggest role. Excellence in sports is not that mountain that anyone can conquer. It needs inner-skills along with many other qualities like years of dedication, hard work, perseveranceand so on. Winning and losing is part of any game andthat is why eminent sportsperson are often capable to gift us with gems of inspirational quotes, which is enough to motivate even the weaker minds among us. 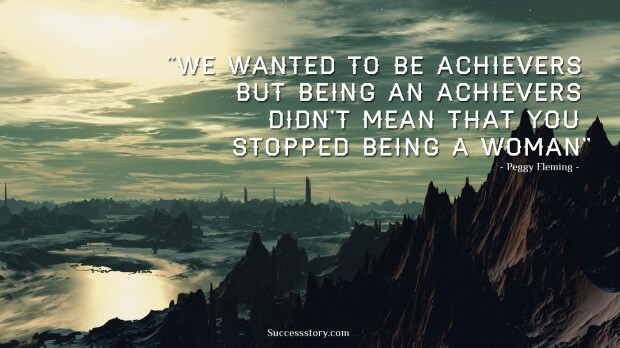 "We wanted to be achievers but being an achievers did not mean that you stopped being a woman"